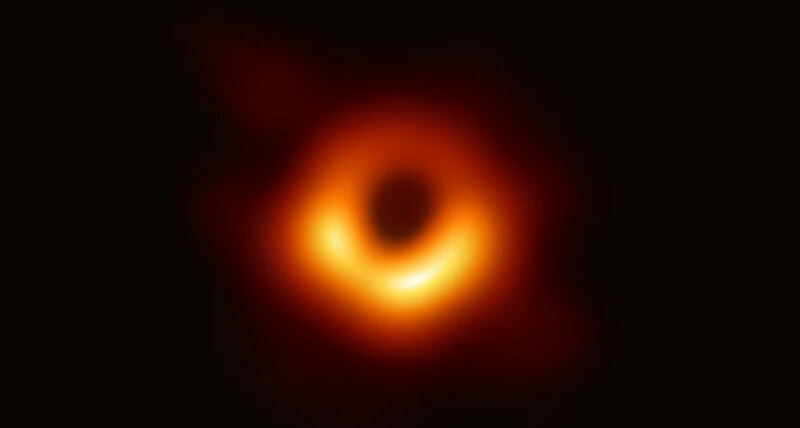 Seems like the right time to celebrate the amazing news today of the first-ever photograph of a black hole with some titles about black holes. Take a long (slightly creepy) look into the abyss from your safe spot light years removed, and cozy up with some titles–metaphorically or literally–about, well, oblivion. From the explosive birth of a black hole to its cannibalistic death throes, NOVA investigates one of the universes darkest secrets. With striking special effects, Monster of the Milky Way takes viewers on a scientifically accurate voyage into the belly of a super massive black hole. This scabrously funny novel is a character study of a badly aging punk whose prime motivation in life is his voracious appetite for drugs. Chuck, who is 43 and lives in San Francisco’s Mission District, works part-time trafficking cloned “mini-whales” for over-privileged yuppies and techies (“Pets are the new accessories”), while scarfing every pill and powder that he can consume. When he scores some Black Hole, “a synthetic, smokeable speedball” that mysteriously never diminishes in quantity even when consumed, he appears to have found his dream drug—that is, until his grip on the space-time continuum starts to slip. Chuck’s days are an endless succession of waking up in unfamiliar places in various states of undress, and he crosses paths regularly with a zany cast of supporting characters that includes steroidal bodybuilders, fellow heads, and a former NSA agent brain-cleansed by psychedelics. Throughout his adventures he weighs in regularly as a poet-philosopher, serving up observational gems on drug addiction (“Home is where your drugs are”), contemporary culture (“No one wants things because they want them, they want things to show the world what they can afford”), and the way urban gentrification has neutered society’s tolerance for outrageous lifestyles. Reading about his crazy antics is a heady experience in its own right. What would it feel like if your spaceship were to venture too close to the black hole lurking at the center of the Milky Way? According to astrophysicist Tyson, director of New York City’s Hayden Planetarium, size does matter when it comes to black holes, although the chances of your surviving the encounter aren’t good in any case. Tyson takes readers on an exciting journey from Earth’s hot springs, where extremophiles flourish in hellish conditions, to the frozen, desolate stretches of the Oort Cloud and the universe’s farthest reaches, in both space and time. Tyson doesn’t restrict his musings to astrophysics, but wanders into related fields like relativity and particle physics, which he explains just as clearly as he does Lagrangian points, where we someday may park interplanetary filling stations. He tackles popular myths (is the sun yellow?) and takes movie directorsâ€”most notably James Cameronâ€”to task for spectacular goofs. In the last section the author gives his take on the hot subject of intelligent design. Readers of Natural History magazine will be familiar with many of the 42 essays collected here, while newcomers will profit from Tyson’s witty and entertaining description of being pulled apart atom by atom into a black hole, and other, closer-to-earth, and cheerier, topics. Asher delivers an action-packed conclusion to the Transformation trilogy that began with Dark Intelligence (2015) and continued in War Factory (2016). Penny Royal, the enigmatic AI, continues to manipulate humans, aliens, and machines toward a purpose known only to her. Thorvald Spear, linked to the memories of Penny Royal’s murderous past and once bent on revenge, now is simply looking for answers as to her intentions. The Brockle, a psychotic and terrifyingly ambitious forensic AI once used by the Polity for brutal interrogations, is determined to hunt down and destroy Penny Royal. The story is densely packed with epic battles, fascinating descriptions of space ship construction, and colorful characters. Veteran storyteller Asher excels at framing exquisite technological detail within short chapters and shifting points of view to create a fast-paced adventure. As with the previous books in the cycle, there is plenty of compelling discussion of consciousness, intelligence, morality, and the meaning of existence. A concise glossary precedes the novel, so that ambitious readers can jump right into the action; but to appreciate the full arc of the story, it is best to begin with Dark Intelligence. The prodigiously talented Burns hit the comics scene in the ’80s via Raw magazine, wielding razor-sharp, ironic-retro graphics. Over the years his work has developed a horrific subtext perpetually lurking beneath the mundane suburban surface. In the dense, unnerving Black Hole, Burns combines realism-never a concern for him before-and an almost convulsive surrealism. The setting is Seattle during the early ’70s. A sexually transmitted disease, the “bug,” is spreading among teenagers. Those who get it develop bizarre mutations-sometimes subtle, like a tiny mouth at the base of one boy’s neck, and sometimes obvious and grotesque. The most visibly deformed victims end up living as homeless campers in the woods, venturing into the streets only when they have to, shunned by normal society. The story follows two teens, Keith and Chris, as they get the bug. Their dreams and hallucinations-made of deeply disturbing symbolism merging sexuality and sickness-are a key part of the tale. The AIDS metaphor is obvious, but the bug also amplifies already existing teen emotions and the wrenching changes of puberty. Burns’s art is inhumanly precise, and he makes ordinary scenes as creepy as his nightmare visions of a world where intimacy means a life worse than death. Princeton University physicists Gubser (The Little Book of String Theory) and Pretorius contextualize black holes as nature-made laboratories for studying relativity and cutting-edge physics in this brisk romp through far-out space science. Scientists have been observing black holes for years, tracking stars as they orbit their dark companions while measuring specific forms of radiation and inferring their tremendous gravity by the way objects bend light around them. In 2015, the Laser Interferometer Gravitational Wave Observatory recorded gravity waves for the first time after colliding black holes created a shock wave whose energy matched what Einstein’s general-relativity equations had predicted nearly a century before. Gubser and Pretorius provide a primer on relativity and explain how black holes distort space-time, moving on to examine different types of black holes, from the simplest—the point mass, a “black pearl of gravity”—to charged black holes and spinning black holes that drag space-time around them as they rotate. Side excursions explore white holes, wormholes, and the extreme possibility of tapping black holes for power. The authors eschew mathematics, but the text does assume that readers have some physics knowledge. Gubser and Pretorius offer clarity on a difficult topic, with a healthy dose of wonder to boot.